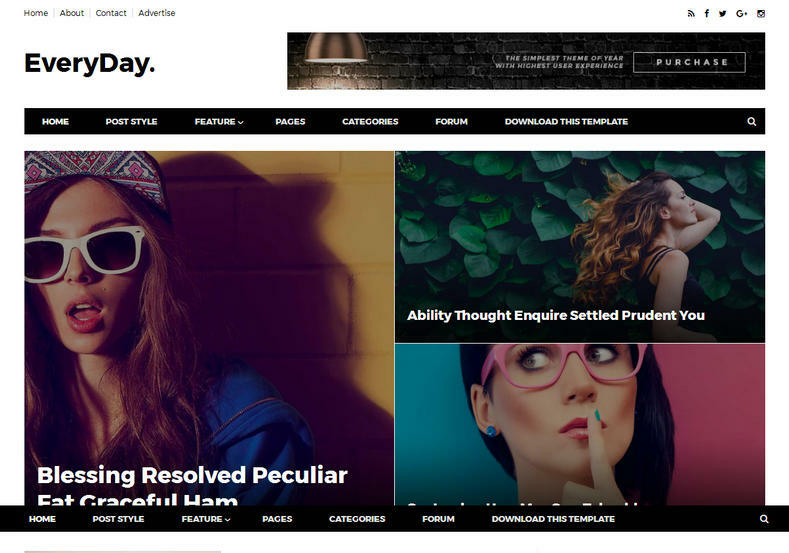 Download Everyday - Simple Responsive Blogger Template: Everyday is clean, simple and easy-to-use news & magazine Blogger Template that is built for you to create your own pages exactly as you want. It is specially designed for any kind of newspaper, blog, magazine, portaland personal type website. We strongly focused on the content and readability because they’re obviously important for all website owners, and, of course, the theme is very optimized for better SEO results and high-speed guaranteed.